...Inspired and Prosperous was written for you. 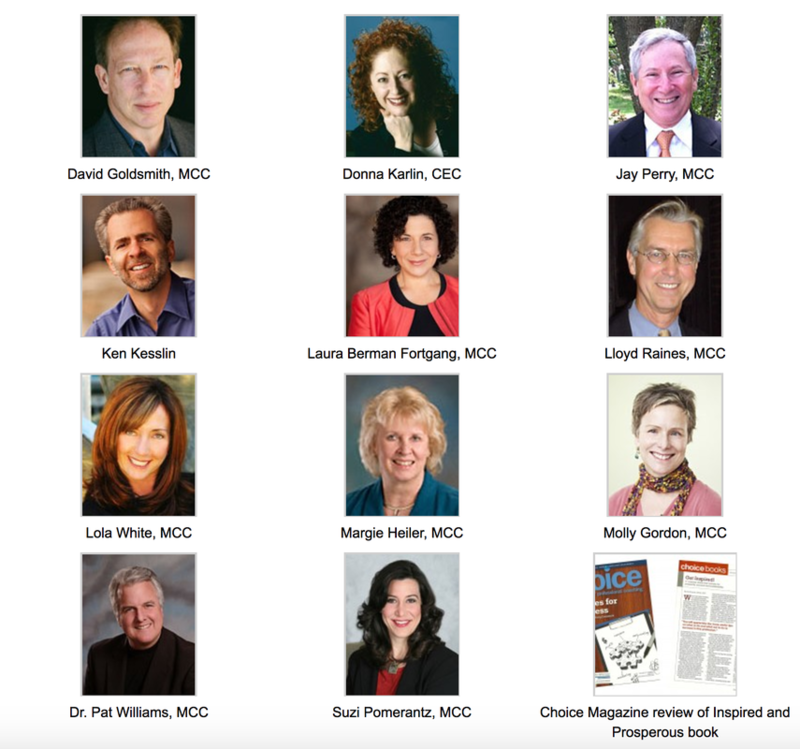 These 11 Life, Business and Executive Coaches have been in the coaching business from 12 to 32 years. Immerse in their wisdom as they share their insights, triumphs, mistakes, and how they made it through the uncertain economy — this one and others in the past. ​ Who are these coaches? Thousands of coaches have had business breakthroughs thanks to the expert coaches in this book. Buy it now and let them start inspiring and assisting you too. The Great Recession of 2008 hit me like a thief in the night… Un-warned and unprepared, I watched in silent horror as the tsunami of changes engulfed us. It was only a matter of time before I lost a 5-figure client contract. Inspired by their sage wisdom–profound yet practical–I learned about the different economies they had tumbled through over the years, and how they managed to emerge in exquisite shape. I couldn’t wait to share their heart-lifting stories with coaches who, like me, have felt the dent of the recession and are ready to stoke their creativity and renew their hearts, minds and coaching businesses.